An elegant 18ct white gold band set with diamonds. Seal your love forever with this elegant wedding ring, ideal for your special day and a gorgeous everyday accessory. 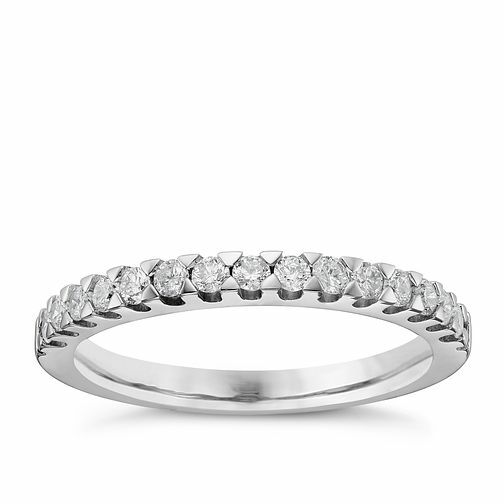 18ct White Gold 0.33ct Diamond Band is rated 5.0 out of 5 by 1. Rated 5 out of 5 by Anonymous from Beautiful beautiful beautiful! I bought this ring for my wedding band and absolutely love it!